Extra gentle cleansing for sensitive skin.The Extra Sensitive Brush head is designed for daily use on delicate, dry and sensitive skin that needs a softer touch. Long, soft and dense bristles (14mm) with rounded ends provide an extra gentle yet efficient cleansing. Beautifully restores the natural purity of sensitive skin without irritating it. 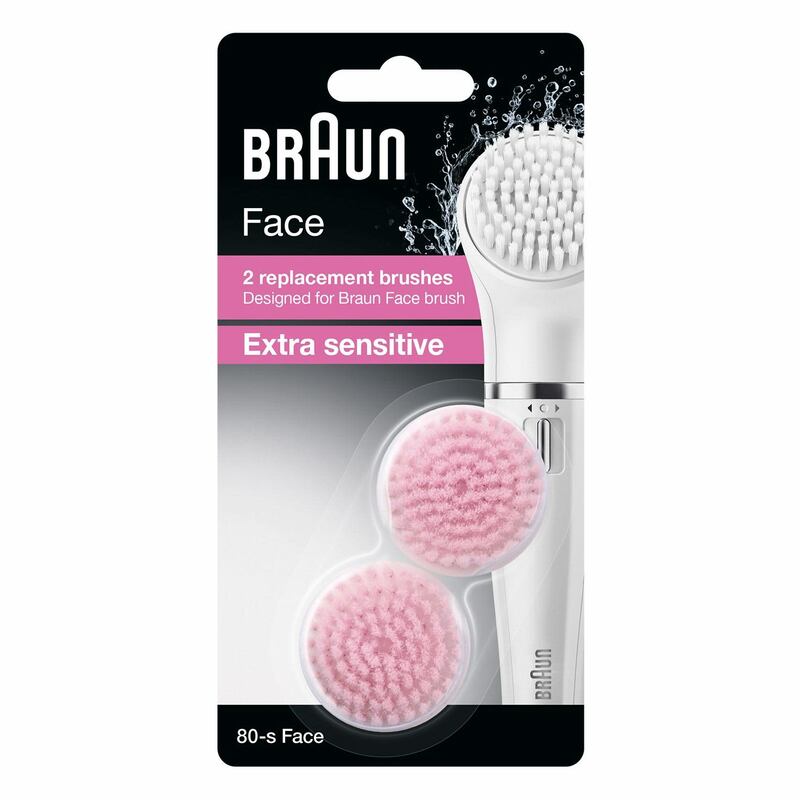 Gently prepares the skin to absorb creams and lotions.For optimal results and hygiene it is advised to replace the Brush head every three months. It comes as a duo pack, so you are equipped for a full 6 months.